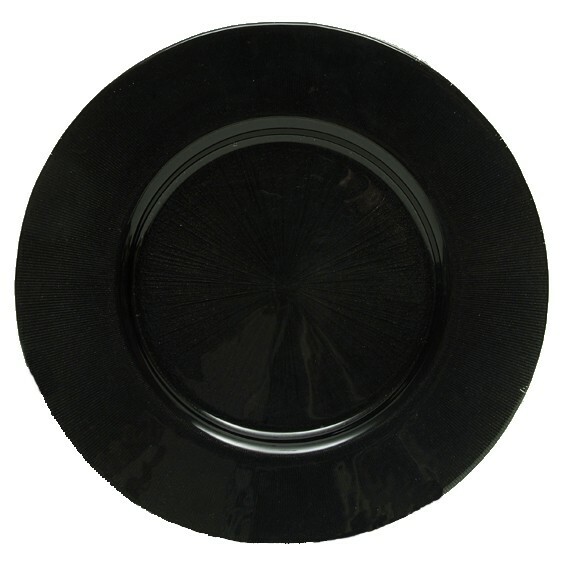 Home > Products > ChargeIt by Jay Starburst Black Glass Round Charger Plate 13"
The ChargeIt by Jay Starburst Black Glass Round Charger Plate 13" brings glamor and elegance to the table. Boasting a stunning starburst design with a sleek and stylish black finish, this charger provides a striking backdrop for your dinner service. This premium quality piece is made from solid glass that looks delicate while being exceptionally tough and durable. Perfect for multi-course meals, this charger plate has ample space to accommodate any size plate. To retain its beauty and form, handwashing is recommended.